Brendan James Ervin did not die of Cancer nor a heart related disease. He didn't die at the hands of a drunken driver and he did not die from any of the top 10 causes of childhood death. Brendan wasn't an abused or neglected child, he was loved by his parents and all who knew him. His death was tragic in many ways because he was just a 17 year old boy who had not reached his potential and his illness wasn't diagnosed in time to give him a chance for survival. Brendan had a disease that is so rare that only one child in a million is diagnosed with it. The Doctors believed he had an ordinary teenage case of mononucleosis. 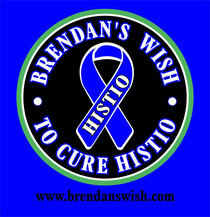 The disease that caused Brendan's tragic death is hemophagocytic lymphohistiocytosis or (HLH). It is a rare blood disorder that wreaks havoc on the body’s immune system and is linked to the mono virus. Brendan had a wish that no other child would ever have to go through what he did. Brendan's wish was a battle cry for his parents, Angela and Don Cage, to form an Army that will fight for Brendan's wish to cure HLH. Brendan’s parents and supporters want you to be a part of that Army! Awareness of the disease is the first battle in this war and raising money for research to cure this horrible child stealing disease is the next battle. They believe that both of these battles can be won. 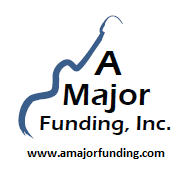 A Major Funding is proud to jump on board, and will donate all proceeds from this year’s Fishin’ with Flaco event to help battle on.